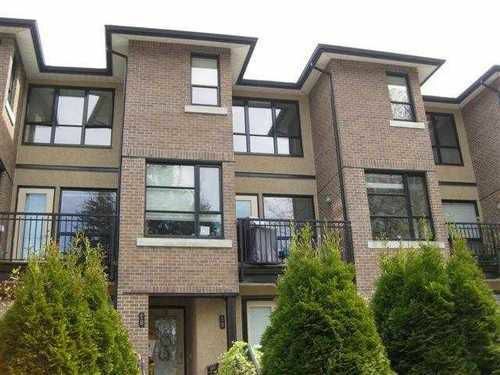 Unique 2 bedroom & den, 3 level townhome with a self contained 1 bedroom lockoff suite on the ground floor. Use all 3 bedrooms & have a 1 bdrm mortgage helper. West facing patio on ground floor & rooftop deck for good outdoor space. Efficient layout with 3.5 baths, granite countertops in kitchen & baths, 9' ceilings, 2 parking stalls in tandem, & 2 storage lockers. Close to University Hill School.